Its true genetics are unknown. Some say OG Kush is a mix of ChemDawg with a Lemon Thai and Pakistani Kush. Others say that it’s just a special cutting of ChemDawg from the early 90s. Even the meaning of the name OG has been debated; with some saying it means Original Gangster. However, now, because of its origins, most people agree it means Ocean Grown. One thing that is not debated is the popularity of this feminized cannabis strain. From Hollywood movie stars and rappers to medical marijuana users, OG Kush is loved by many. The most obvious trait of OG Kush is its strong, unique, very dank, slightly citrus aroma, almost like fuel or strong detergent. The flavour of OG Kush is equally as strong and dank, with a long-lasting aftertaste. OG Kush is an extremely strong cannabis strain, with most experienced smokers listing it as one of their favourites. The effect is as strong physically as it is mentally. Though its effect is like an Sativa, the strain's genetics are mostly Indica. The effect is as strong and complex as the flavour. 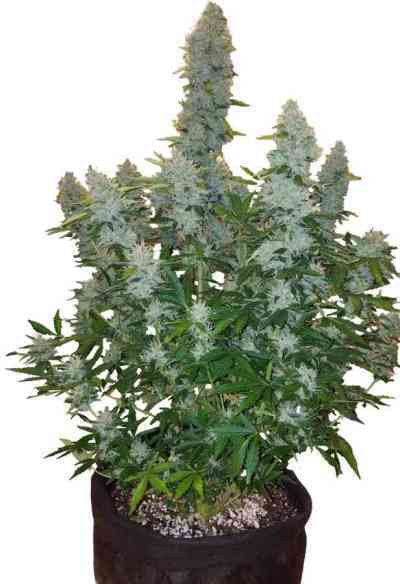 OG Kush takes around 8 weeks to flower and on average the yield is 65 grams per plant. OG Kush is known to stretch slightly during growth but soon starts to fill out during flowering. Generally, it will reach a height of 90 to 160 cm. 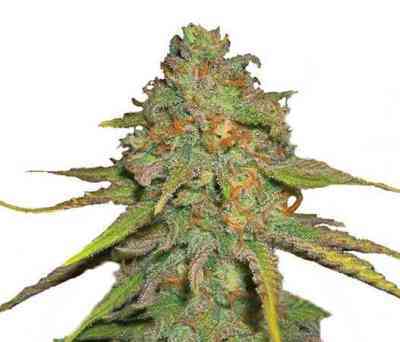 Its buds are large and dense, lime green clusters covered with a large amount of resin. There are many good reasons why OG Kush has become so popular. Now available as a feminized variety from Royal Queen Seeds, so you can try out this amazing strain yourself.